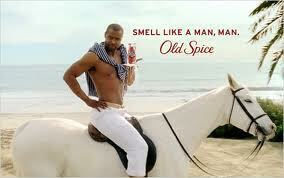 Advertorials: Is Old Spice Ditching Mustafa? Is Old Spice Ditching Mustafa? Old Spice is up to their antics again with their latest manly man TV commercial, where the macho guy walks through quicksand, ignores a large snake wrapping itself around his body, gets knocked off by a truck, is bitten by a crocodile, immerses over his head in water and still miraculously ends up at a beautiful woman's side ... where he is told that he smells and looks amazing. But there is something about this ad that is dramatically different than recently aired ads, where Isaiah Mustafa convinced women the world over that he was "the man your man could smell like." That difference? Mustafa is no longer the star of the show. Within the past year, Mustafa has helped to completely reinvent and re-energize the Old Spice brand, which has been in existence for over 70 years. Previous images of the manly sailor whistling the Old Spice melody as he walks the dock with a beautiful lady on his arm have firmly been supplanted with a younger, more contemporary man who smells and looks terrific, no matter what he faces in life. But, just what who is this new guy and what has become of Isaiah? No one seems to know. Ad agency Wieden & Kennedy is willing to talk at length about how the commercial was shot, but the name of the new Old Spice man seems to be heavily guarded. One may ask why Old Spice looked a gift horse in the mouth, but as my undergraduate students who presented an Old Spice case study told the class just this week, it's smart to not put all your eggs in one basket. Celebrities like Tiger Woods, Brittney Spears and Brett Favre, to name only a few, have shown that it can be dangerous to stake all of a brand's advertising around one key celebrity. Maybe it's this sense of caution driving P&G to create another Old Spice persona ... or maybe they just knew we would all talk about this ad because Mustafa was not in it, serving to reinvigorate the brand buzz. Lead actor aside, I like this ad even more than the previous ones. The stint at the end with the skeletal legs actually got me to laugh out loud. 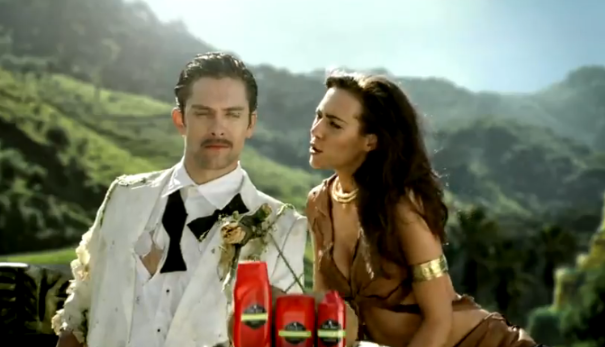 No matter how you look at it, Old Spice is one of the few great brands that has managed to completely reinvent themselves. It's a case study for the records. Kahler Slater Asks, "What's Your Story?" Kotex Adds Flair To Underwear. Period.